When completing business entity filings with a Secretary of State, a filer is often required to provide the name and address of a registered agent or agent for service of process. Some states will ask if this is a commercial or noncommercial agent, which impacts how the filing is completed. In some states, when appointing a commercial registered agent, the filer does not have to provide an address, however, if the agent is a noncommercial agent, an address is always required. Why do we have these two agent types, and why are these distinctions important to you as a filer? The Model Registered Agents Act (MoRAA), effective 2006, was a joint effort between the American Bar Association (ABA) and the International Association of Commercial Administrators (IACA) to standardize business entity laws and streamline entity formation and management. MoRAA is where the distinction between commercial registered agent and noncommercial agent was formally established. According to MoRAA, a commercial registered agent is an individual or entity (domestic or foreign) that has filed a commercial registered agent listing statement with the Secretary of State. In addition to listing a name, an entity type and a statement that the person or company is serving as a commercial registered agent, the listing statement must include an address for receipt of service of process and other official notices. 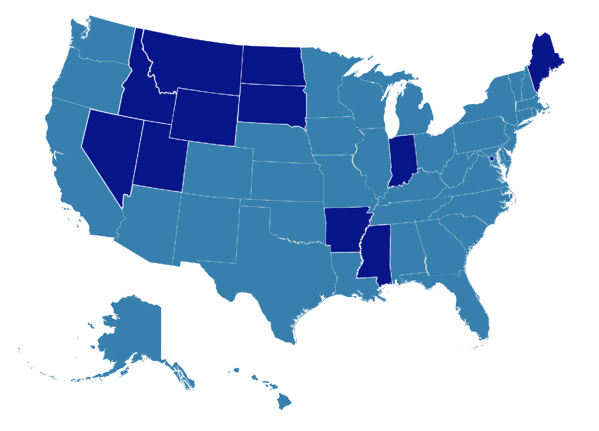 Most states don’t require agents to file these commercial registered agent listings. A few states do, if the agent is appointed for a certain number of entities. The primary difference between commercial and noncommercial agents? Noncommercial agents have not filed a registered agent listing. Other states, such as California, Delaware, Hawaii, Pennsylvania and Washington, have not adopted MoRAA in totality but employ similar provisions. California’s commercial registered agent provisions predate MoRAA and to some extent, served as an inspiration for the act. Any corporation appointed as a registered agent in California, even if it only represents a single entity, must file a certificate listing its address and indicate whether the agent is an individual or a corporation. If the agent is an individual, an address is required. If it is a corporation, no address is required. Limited liability companies (LLCs) and limited partnerships cannot act as registered agents. Delaware has not enacted MoRAA but has adopted aspects of its provisions regarding commercial registered agents. One major difference is in terminology. Delaware statutes use “commercial registered agent” as a designation for agents that represent more than 50 entities, not as an indication of whether the agent has filed an address with the state. Pennsylvania does not require appointment of a specific agent. Instead, entities are required to designate a registered office in any Department of State filing. An entity has the option to designate either a registered office address, or a Commercial Registered Office Provider (CROP) that has filed a Statement of Address of Commercial Registered Office. Entities do not have to provide a registered office address if they choose to use a CROP. What Happens If I Elect the Wrong Type of Agent or Make Other Types of Mistakes When Designating the Agent? With there being two types of agents available — and several variations on how states recognize these agent types — confusion is not uncommon. Mistakes frequently made by filers include not providing the registered agent’s name correctly (e.g. making a typo or leaving out a word) and providing the name of a commercial registered agent as a noncommercial registered agent. These mistakes can result in the filing not being associated with the proper commercial registered agent record. Should the agent change its address on a commercial registered agent filing, the change may not extend to records created with the incorrect agent name or ones that don’t indicate the commercial registered agent status. The result? Mishandled or delayed delivery of state correspondence and time-sensitive service of process, which could leave your company facing a default judgment. While most agents regularly review state records to determine if they have been designated as agent without being informed of the filing, if the filing is not associated with their commercial registered agent record, the agent may not find out about the appointment. Many states are now sending electronic notifications in lieu of physical mail, so errors in email addresses for appointed agents can also mean critical notices get delayed or lost in spam filters. Am I Using a Commercial Registered Agent? 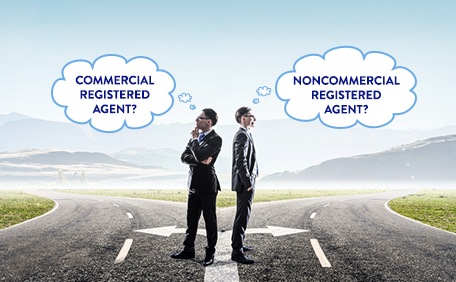 Not sure whether you are appointing (or have appointed) a commercial or noncommercial registered agent? Secretaries of State often provide a list of commercial registered agents on their websites—and you can always confirm with the agent directly. Not all states with commercial registered agents require that you indicate it on filings. For those that do, make sure to get it right. When indicating who the registered agent is on a business entity filing, make sure you get the agent’s name and email address right and don’t guess when it comes to indicating commercial registered agent status. By correctly providing the registered agent information, you’ll minimize or eliminate the chances of not getting important communications you need to know about.